The food you eat can either be the safest and most powerful form of medicine, or the slowest form of poison. Shannon believes in the power of food as medicine, which she experienced firsthand as she recovered from an intense health crash that started in 2010 (read her story here). As a Certified Transformational Nutrition Coach, Shannon deeply cares that her clients are seen, heard, and feel like they matter. She believes that her clients are the experts of their bodies, and helps them tap into their own inherent wisdom and healing capacity. TN Coaching is all about asking those thought-provoking questions that allow clients to dig deeper - which not only helps them reveal their truths, but also helps them discover the self-sabotaging beliefs holding them back. Shannon routinely works with clients on mindset, re-wiring negative beliefs, and amping up self-love so that they may create lasting changes. Take care of your body. It’s the only place you have to live. Shannon believes in the power of eating an organic, whole-foods diet according to Michael Pollan's manifesto: "Eat Food. Not too much. Mostly plants." She believes that your diet should be tailored to YOU. As a bioindividual, a human with unique gene expression, cellular biochemistry, and varying environmental exposures, there is no "one-size-fits-all" diet that works for everyone. This means that as a coach-client team, we tailor customized health/nutrition action plans based upon your needs and goals. Even if you are "dialed in" to one diet, you will need to make tweaks over time as the needs of your body change. 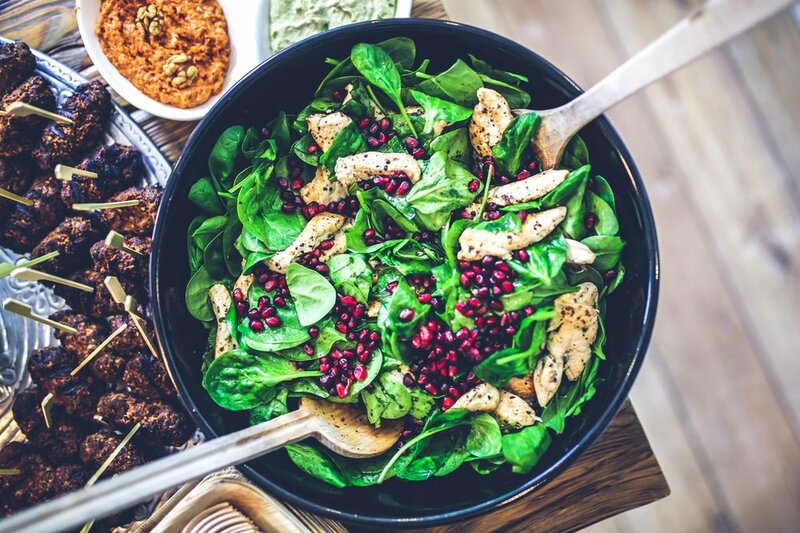 Transformational Nutrition Coaching addresses both the tactical part of changing one's diet, as well as the emotions associated with having to make radical diet and lifestyle changes. Shannon is extremely passionate about working with women to amp up their self-love, increase mind-body connection, and improve their relationship with food and their bodies. Shannon is also highly experienced in teaching mind-body connection, stress management techniques, and self-care/self-love practices including movement, meditation, and deeper connection to Self and Spirit. If you are ready to dig deep and uncover the root causes that are holding you back from feeling 100% alive and energized, vibrantly healthy, and ready to crush it in life, sign up for a complimentary 30 minute strategy session below. Shannon is ready to work with you (and your medical practitioner!) to devise a nutrition, lifestyle, and self-care plan that fully supports YOU and your needs. As your coach, Shannon will be your biggest fan, ally, confidant, and the person who will challenge you when you need it most. You do not need to do this alone 💜.